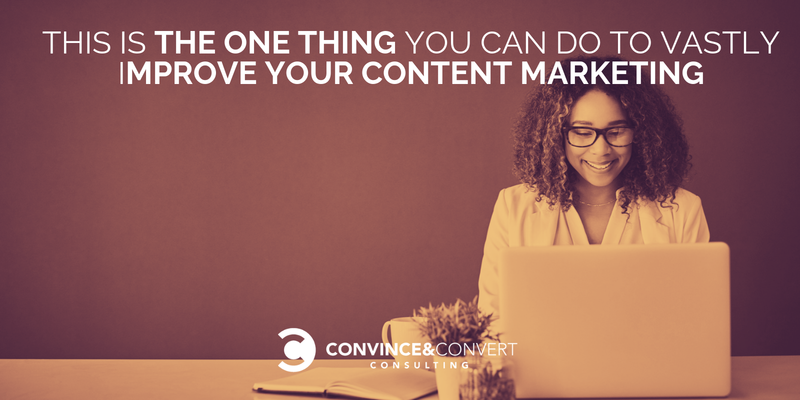 The phrase content marketing has become so watered down and generic. Simply calling it content marketing and thinking about it in terms of sharing blogs, publishing articles, emailing ebooks and promoting webinars dilutes how valuable and important content marketing truly is. Content is the blood that runs through the veins of a company. Without it, there is no inbound. No sales enablement. No demand generation. No social media. And no sales too. A content experience is the environment in which your content lives, how it’s structured and how it compels your prospects and customers to engage with your company. So starting today, we’re going to shift our thinking to the entire content experience. Because when we shift our thinking to experiences, we change the focus from simply publishing a blog post to personalization, organization, and the entire strategy instead. What is content marketing if it isn’t about coming up with a strategy to engage your customers to buy your products and services? And I have the perfect way to shift your thinking and show you how companies like GE, Cisco and SAP are implementing a content experience strategy to vastly improve their content marketing results. It’s called The Content Experience Coffee Break, a no-cost, 4-part webinar series I recorded with my friend Randy Frisch at UberFlip. Don’t worry, each webiNINE is short — only 9 minutes. It’s fast, it’s fun, and you’ll become a content experience expert in the time it takes to drink a cup of coffee (or two). Simply having content on your website and in your channels isn’t good enough anymore. 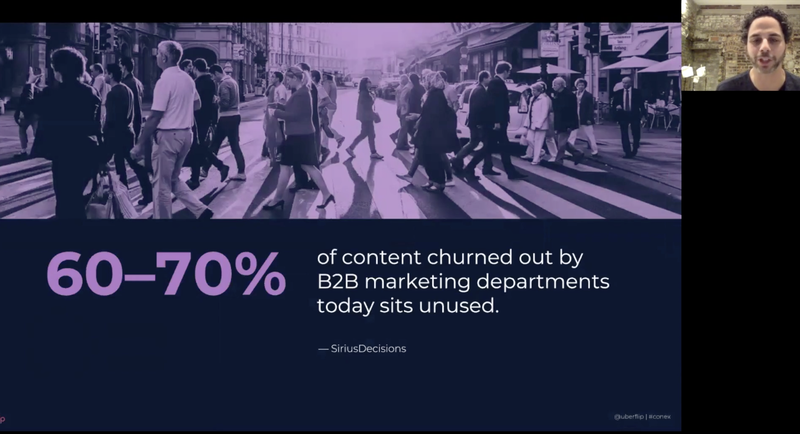 In fact, according to a study by SiriusDecisions, 60-70% of all content doesn’t get used at all. Ouch. But content is more important than ever. Inbound marketing: create content that solves your prospects’ problems, and have it ready for them when and where they need it. Demand generation: drive people to content experience that are personalized and drive conversions/leads. Account-based marketing: engage your target accounts with personalized content experiences that accelerate pipeline and drive sales. Sales enablement: empower actual members of your sales team to use content and distribute it to prospects. I love this example of account-based content that Randy shared from Snowflake. See how Snowflake customized the content for the account they were targeting? AWESOME. We talk so much about marketing your content, but we don’t actually do it. I wrote about this more than 6 years ago in my book Youtility. 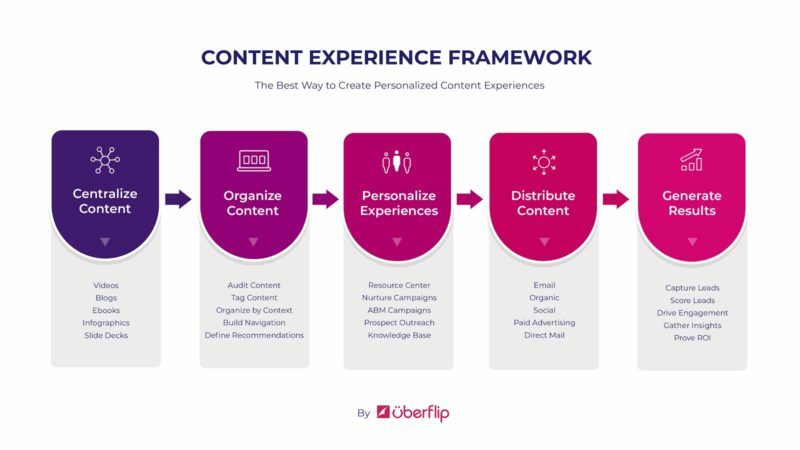 For 2019, you need a content experience framework to create and market personalized content for every part of the buyer journey. And you can download an awesome framework that UberFlip created. With this schema, you can plan for an end-to-end experience that works. It sounds more complicated than it is. This framework from UberFlip makes it easy. 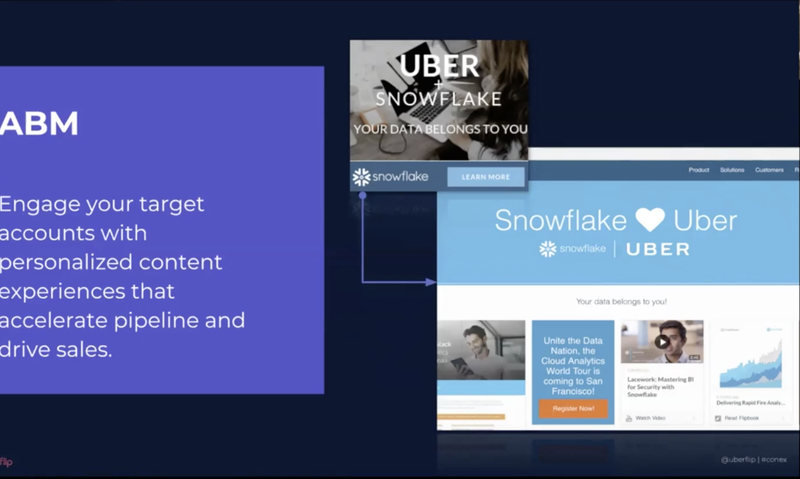 According to recent UberFlip’s Content Experience report (download it now), by putting your content in more than one place (for example, under different types of navigation in your website), you can increase your content views by 8X (no, not 8%—8X)! It makes sense: if you house your content in more places, you’ll get more engagement. Creating new content isn’t the only way to increase views and sales; you should place the content in more contextual places too. 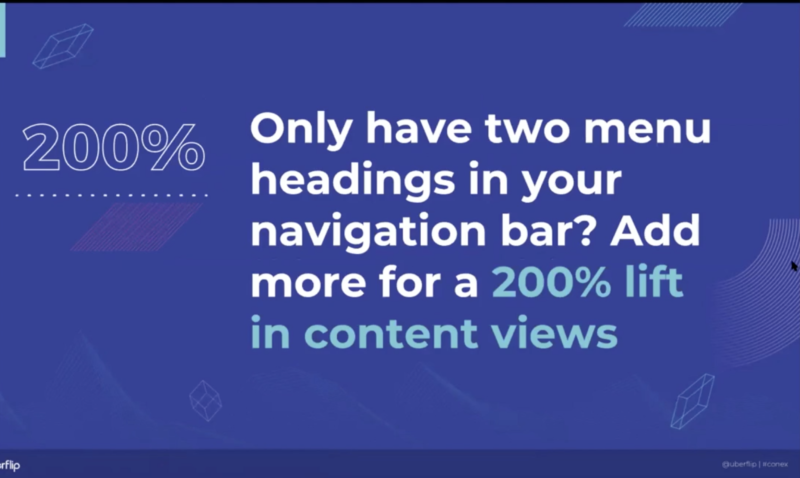 In fact, adding more than two headings to your navigation bar can increase content views by 200%. For example, let’s say our team at Convince & Convert creates an ebook on social media that would fit in a topical dropdown on ConvinceandConvert.com. We could achieve a nice bump in views by also placing that same content under a vertical focus or solution focus dropdown. It makes sense: the more specific and relevant your navigation is, the more likely people will be to view your content. Not convinced on the business impact? Just remember: it takes 7 pieces of content to make your prospects sales-ready. If you personalize your content and make it easier for prospects to access your content, you’ll move them closer to opportunities — faster. Cha-ching. 4. But Now Comes the Question: Who Owns the Content Experience? I can make that case. If a content marketer is involved with storytelling and content assets, they should be in charge of the content experience? In small organizations, this makes sense. Demand gen marketers tend to be involved with lead nurturing and lead management, so they should care about what content they’re using in their lead nurturing campaigns. Having the demand gen marketer be in charge of the content experience would make sense in some organizations. If you’re a digital marketer in charge of website content, it would probably make sense for you to own the content experience, while working closely with the content manager too. And how about a new role: the Content Experience Manager/Director/VP? This could be you! Still pondering who owns the content experience? UberFlip created an entire ebook on this topic. Check it out. Maybe you could be the first (or next?) Content Experience VP in your organization. Now that you’ve shifted your focus from content marketing to the entire content experience, make sure to grab a coffee (or even a beer, I don’t judge), and join me for The Content Experience Coffee Break to see how you can achieve incredible gains from your content in 2019. See you there.